Simon Tay is a professor of international law at the National University of Singapore, the founder of the Singapore Institute of International Affairs (SIIA), and a former three-term Nominated Member of the Singapore Parliament. In addition, he serves as a powerful voice on topics affecting the quality of life for all Singapore’s people. In November 2014, Tay authored a piece for The Straits Times, one of Singapore’s leading newspapers, on his “personal journey” through the environmental issues surrounding the haze problem plaguing his country and the greater region. In the article, Tay discussed the complex nature of the problem. Recurrent clouds of smoky haze originating largely from forest fires in Indonesia have crossed the Strait of Malacca for decades, blanketing Singapore and Malaysia. The elderly and young children are particularly vulnerable to the respiratory conditions and other health problems associated with this type of pollution. The rapid boom in natural resources-based manufacturing taking place within Indonesia’s developing economy is the ultimate cause of the haze, which sometimes comes from fires that ignite on plantation lands owned by large corporations. In other instances, small farmers, without a direct affiliation with a corporate partner, may set fires on their own or company-owned lands through lack of education about the environmental impact, or deliberately as the cheapest means of clearing lands for cultivation. Attributing the fires to specific sources has proven difficult, even for experts, because of unclear demarcation of land boundaries on current maps, as well as the limited technological means for verifying details about the causes of the fires. Tay has long maintained a deep concern about the transnational haze problem. When it came most prominently to his attention, in the late 1990s, the Indonesian government was in a deep political and economic crisis, with little ability to fight the raging fires that the United Nations had declared a global disaster situation. In the years since then, new national and international laws have attempted to bring order to the problem, with varying degrees of success. On a recent trip to the Indonesian island of Sumatra, Tay spent time with Anderson Tanoto, who represented the RGE Group of manufacturing companies founded by his father, Sukanto Tanoto. Tay wrote of his tour of lands under cultivation by APRIL (Asia Pacific Resources International Limited), the RGE company dedicated to producing wood pulp products, and by Asian Agri, another RGE firm devoted to palm oil production for a global market. Tay was impressed with APRIL’s and Asian Agri’s focus on containing and fighting fires in a systematic manner, and with the companies’ commitment to sustainable practices. As Anderson Tanoto pointed out, it makes good business sense for a natural resources-based company to keep environmental stewardship foremost in its planning. Without careful oversight of wildfires and other hazardous conditions, APRIL and companies like it would lose the very raw materials they depend on for their livelihoods. Indonesian businessman Sukanto Tanoto, ranked among the richest individuals in his country, learned from an early age to prioritize hard work, responsibility, and charity. 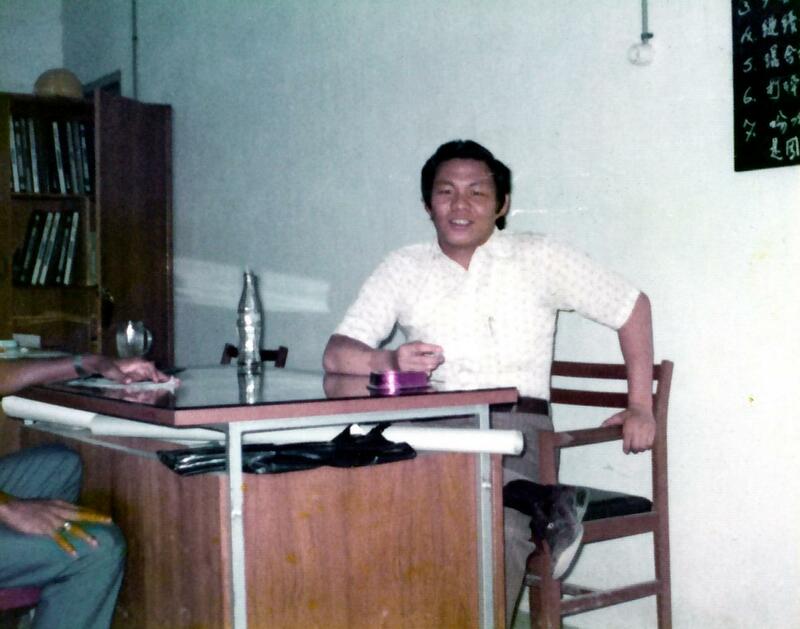 The son of Chinese-born parents who immigrated to Indonesia, Mr. Tanoto started off in business selling plywood products through his RGM company in the early 1970s. Now known as RGE Group, his $15 billion corporate family encompasses oil and natural gas products, as well as pulp and paper, palm oil, and a range of other agribusiness concerns. Sukanto Tanoto’s father relocated from China’s Fujian Province to Medan, Indonesia, and began operating a small family business that sold the spare parts needed by oil and gas companies. 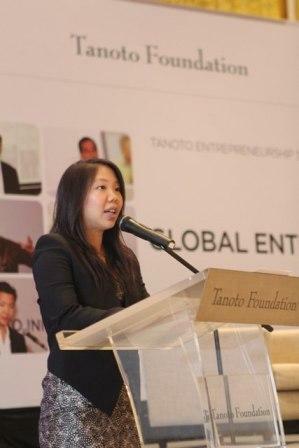 Sukanto Tanoto, the eldest of nine children, was born the year his father went into business in Indonesia. From an early age, he assisted his father in the shop. By the time he turned 17, the young Sukanto Tanoto had to drop out of school to take over the business due to his father’s illness. Even so, the value of a good academic and practical education has been one of the driving forces of Mr. Tanoto’s life. He has continued on a journey of lifelong self-education in business and other fields. He has additionally taken high-level courses at The Wharton School of the University of Pennsylvania. Building on his father’s experiences, the young Sukanto Tanoto developed an eye for detecting lucrative streams of income. From a staff of four, including himself, he grew the family’s spare parts business into a company with capital of $1 million inside of three years. His smart business sense led his company to take advantage of the growing demands on Indonesia’s oil industry during the global energy crisis of the early ‘70s. By his mid-20s, he had earned in excess of $10 million and controlled an international corporation. Not content to confine his interests to a single commodity so dependent on the whims of the market, Mr. Tanoto went on to expand into timber products and palm oil production, often against conventional business wisdom in Indonesia. Although an old saying describes immigrant Chinese families’ limited business activities with the “three knives” metaphor—knives of the kitchen, tailor, and hairdresser—Sukanto Tanoto has developed his own business concerns in several sectors of the economy, and has expanded his generation’s ideas of what immigrant families can accomplish. Woodfibre LNG, an arm of Pacific Oil & Gas, Ltd., is among the ongoing energy and natural resources-related companies within the RGE Group established by Indonesian-born businessman and philanthropist Sukanto Tanoto. Under the leadership of Mr. Tanoto and his daughter Imelda, the lead director at Woodfibre, the company is currently underway with plans to export liquefied natural gas from a port in British Columbia to rapidly growing Pacific Rim markets. As part of its preparation at this stage of the project, Woodfibre is working to supply the provincial government with information that will factor into an environmental assessment, a necessary component for the project to move forward. Should plans for the project reach a final stage by 2015, the company expects to begin supplying LNG to Asian markets by 2017, making it significantly more nimble and responsive to market demands than larger brands such as Royal Dutch Shell, Chevron, and Malaysia’s Petronas. In this and numerous other international development projects, the Tanoto family’s goal is to create long-term stability and profitability for both the company and the local communities involved, and to comply with all relevant environmental requirements. Woodfibre has held several public forums designed to improve communications with the residents of Squamish, the port town near the company’s proposed liquefaction and export hub. 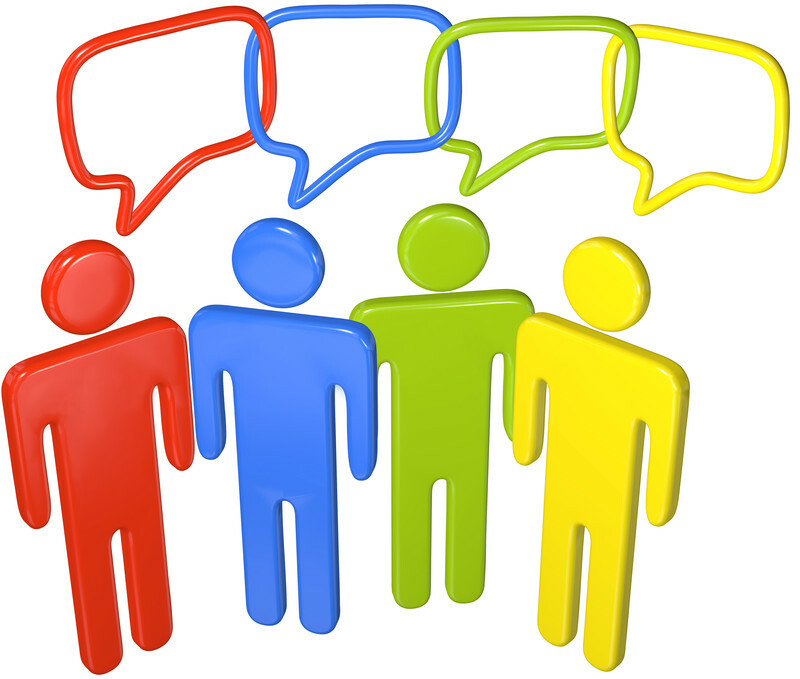 The forums provide members of the local community with the opportunity to question executives directly and to bring forward concerns. In October 2014, Woodfibre sponsored a “telephone town hall” meeting where residents called in to speak with the corporate team. Earlier in 2014, Woodfibre leaders held two community consultation meetings, at which they solicited input from all stakeholders. 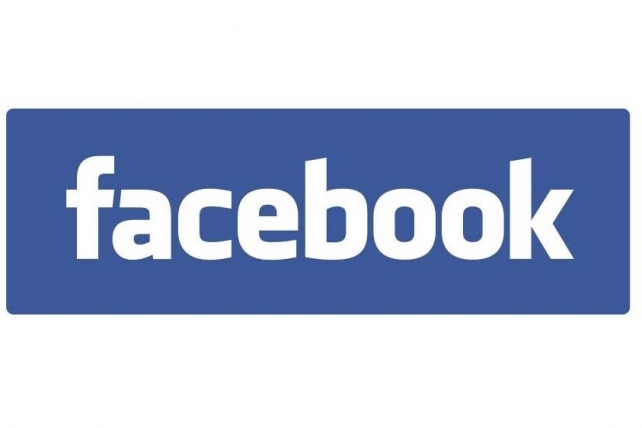 Woodfibre also continues to maintain its Facebook page as an avenue for public inquiry and information dissemination. The company additionally produces informative mailings, addressed to Squamish residents, with updates on various aspects of the project. These practices also serve to apply Mr. Tanoto’s business philosophy of placing the wellbeing of local communities on an equal standing with corporate growth. To learn more, the public may access the company’s website at WoodfibreLNG.ca, where the company has published information recorded at the 2014 community meetings. 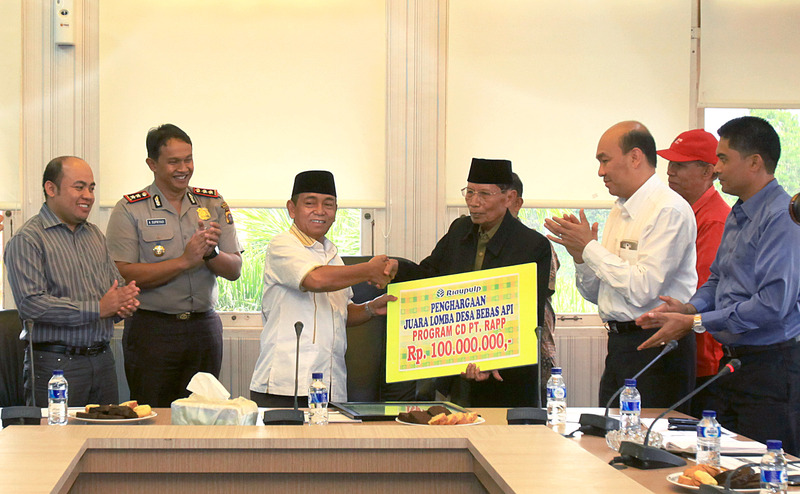 Riau Andalan Pulp & Paper (RAPP), a constituent company of Asia Pacific Resources International Limited (APRIL), was proud to award a recent community development grant of 100 million Indonesian rupiah to a local village successful in reducing fires on its lands. RAPP and APRIL are responsible for a large share of the production of wood pulp and paper products on the global market, and are part of the RGE Group founded by Indonesian-born entrepreneur Sukanto Tanoto. Because of Mr. Tanoto’s focus on following best practices in corporate citizenship and environmental stewardship, his executive teams place the welfare of local communities at the heart of their business operations. The grant to the village of Teluk Meranti in October 2014 rewarded that community for its efforts to implement RAPP’s zero-burning policy on its lands. Teluk Meranti, part of the Pelalawan regency in Riau Province on the Indonesian island of Sumatra, is one of four village communities participating in RAPP’s pilot project, which is held during the summer dry season. Village chief H. Hasan, upon accepting the award from Pelalawan’s regent, described how his community would use the funds to improve local infrastructure. Other villages in the project include Pulau Muda, Sering, and Teluk Binjai. Fires in Riau’s villages, both on and outside of pulp- and paper-producing lands, often start as part of traditional community waste management practices. 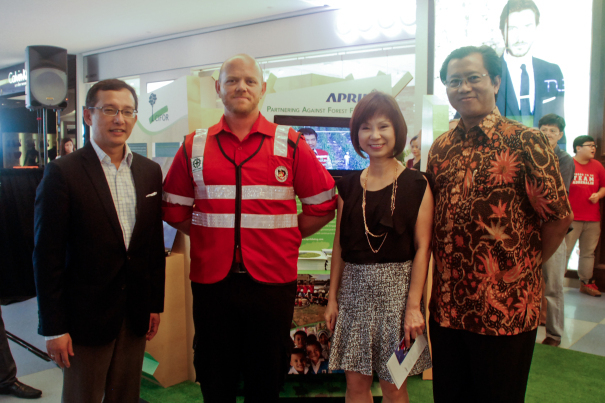 RAPP and APRIL have devoted extensive recent efforts to educating rural communities about the dangers associated with such fires, which can burn out of control and produce haze that reaches across the Strait of Malacca to Singapore. The first reports received from the pilot project indicate that it has achieved overall success in reducing such potentially devastating fires. The program has gained extensive local government support, including that of the Pelalawan police department, as well as government entities dealing with environmental concerns, disaster response, and forestry.